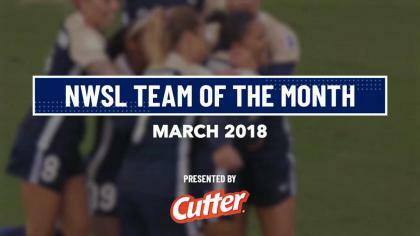 Utah Royals FC responded with two second half goals to beat the Houston Dash 2-1 in Week 19 NWSL action at BBVA Compass Stadium in Houston, Texas. Utah Royals FC forward Christen Press and forward Katie Stengel scored for the visitors, and Dash midfielder Veronika Latsko scored her team’s only goal on the night in the first half. With the win, Utah Royals FC improve to 6-6-7 (25 pts) and shift ahead the Dash in the standings for sixth place. The Dash drop to 6-6-7 (23 pts) and into seventh place. In the 41st minute Dash midfielder Sofia Huerta found Latsko in the box off a free kick service. Latsko headed it home for her third goal of the season. The Dash went into the second half with the lead and in the 65th minute looked like they were going to get another one when Huerta dribbled past all of Utah’s backline and had a chance to chip goalkeeper Nicole Barnhart. Barnhart made the stop to deny Huerta’s chance. However, in the 77th minute, center back Amber Brooks received a pass from goalkeeper Jane Campbell and didn’t check over her shoulder to see Press, pressing. Press read the play, stole the ball from Brooks and buried it to equalize the game at 1-1. Press finished the game with a goal and two shots. In the 68th minute, Stengel entered the game for Katrina Gorry and within minutes became the spark that Utah needed. In the 83rd minute, Utah Royals FC combined for some passing in the midfield before Erika Tymrak saw an opening to chip the Dash backline. Tymrak played in Stengel over-the-top and Stengel tapped it over Campbell for the 2-1 lead. Stengel finished her fourth goal of the season and she leads Utah in scoring. Utah defender Becky Sauerbrunn held down the other side of the pitch making 11 clearances, 4 interceptions and three tackles. Barnhart made four saves in the win, and Campbell made three saves in the loss. Next up: Utah Royals FC will host the Spirit on Wednesday, and the Dash will travel to Sky Blue FC on Saturday. Match ends, Houston Dash 1, Utah Royals 2. Second Half ends, Houston Dash 1, Utah Royals 2. Attempt saved. Katie Stengel (Utah Royals) left footed shot from the centre of the box is saved in the top right corner. Assisted by Erika Tymrak. Corner, Utah Royals. Conceded by Allysha Chapman. Attempt missed. Sofia Huerta (Houston Dash) right footed shot from outside the box is high and wide to the left. Assisted by Thembi Kgatlana. Attempt missed. Thembi Kgatlana (Houston Dash) right footed shot from the centre of the box is close, but misses to the left. Assisted by Linda Motlhalo with a through ball. Goal! Houston Dash 1, Utah Royals 2. Katie Stengel (Utah Royals) left footed shot from the centre of the box to the bottom right corner. Assisted by Erika Tymrak with a through ball. Attempt saved. Thembi Kgatlana (Houston Dash) right footed shot from outside the box is saved in the top centre of the goal. Assisted by Kyah Simon. Attempt missed. Sofia Huerta (Houston Dash) right footed shot from outside the box is close, but misses to the left. Assisted by Kealia Ohai. Attempt missed. Nichelle Prince (Houston Dash) right footed shot from the right side of the box is close, but misses to the left. Offside, Utah Royals. Erika Tymrak tries a through ball, but Christen Press is caught offside. Goal! Houston Dash 1, Utah Royals 1. Christen Press (Utah Royals) right footed shot from the right side of the box to the bottom right corner. Substitution, Utah Royals. Taylor Lytle replaces Amy Rodriguez. Attempt missed. Rachel Daly (Houston Dash) right footed shot from long range on the right is high and wide to the right. Assisted by Sofia Huerta. Attempt saved. Nichelle Prince (Houston Dash) right footed shot from the left side of the six yard box is saved in the centre of the goal. Offside, Utah Royals. Erika Tymrak tries a through ball, but Amy Rodriguez is caught offside. Attempt saved. Kealia Ohai (Houston Dash) right footed shot from the left side of the box is saved in the centre of the goal. Assisted by Kyah Simon. Substitution, Utah Royals. Katie Stengel replaces Katrina-Lee Gorry. Attempt missed. Kyah Simon (Houston Dash) left footed shot from outside the box is too high. Assisted by Sofia Huerta. Attempt saved. Sofia Huerta (Houston Dash) right footed shot from the left side of the six yard box is saved in the centre of the goal. Assisted by Kyah Simon. Attempt missed. Sofia Huerta (Houston Dash) right footed shot from the right side of the box misses to the right. Assisted by Nichelle Prince with a cross following a corner. Hand ball by Lo'eau LaBonta (Utah Royals). Attempt blocked. Katrina-Lee Gorry (Utah Royals) right footed shot from outside the box is blocked. Assisted by Erika Tymrak. Substitution, Utah Royals. Erika Tymrak replaces Diana Matheson. Attempt missed. Gunnhildur Yrsa Jonsdottir (Utah Royals) header from the centre of the box is too high. Assisted by Katrina-Lee Gorry with a cross following a corner. Sofia Huerta (Houston Dash) is shown the yellow card for a bad foul. Offside, Utah Royals. Lo'eau LaBonta tries a through ball, but Christen Press is caught offside. Katrina-Lee Gorry (Utah Royals) wins a free kick on the left wing. Second Half begins Houston Dash 1, Utah Royals 0. First Half ends, Houston Dash 1, Utah Royals 0. Offside, Houston Dash. Veronica Latsko tries a through ball, but Rachel Daly is caught offside. Attempt blocked. Rachel Daly (Houston Dash) right footed shot from the centre of the box is blocked. Assisted by Kealia Ohai with a cross. Attempt saved. Amy Rodriguez (Utah Royals) left footed shot from outside the box is saved in the centre of the goal. Assisted by Katrina-Lee Gorry. Goal! Houston Dash 1, Utah Royals 0. Veronica Latsko (Houston Dash) header from the centre of the box to the bottom right corner. Assisted by Sofia Huerta following a set piece situation. Attempt missed. Katie Bowen (Utah Royals) right footed shot from outside the box is close, but misses to the right. Assisted by Amy Rodriguez. Attempt missed. Sofia Huerta (Houston Dash) right footed shot from the centre of the box misses to the left. Assisted by Rachel Daly. Offside, Utah Royals. 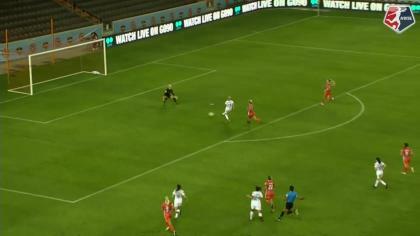 Katrina-Lee Gorry tries a through ball, but Christen Press is caught offside. Attempt missed. Nichelle Prince (Houston Dash) right footed shot from outside the box is high and wide to the right. Assisted by Rachel Daly. Attempt saved. Christen Press (Utah Royals) right footed shot from outside the box is saved in the centre of the goal. Assisted by Katrina-Lee Gorry. Corner, Houston Dash. Conceded by Katie Bowen. Attempt blocked. Rachel Daly (Houston Dash) right footed shot from outside the box is blocked. Assisted by Nichelle Prince.